KARACHI (92 News) – An anti-terrorism court accepted the challan of 16 accused arrested from Nine Zero on Wednesday. 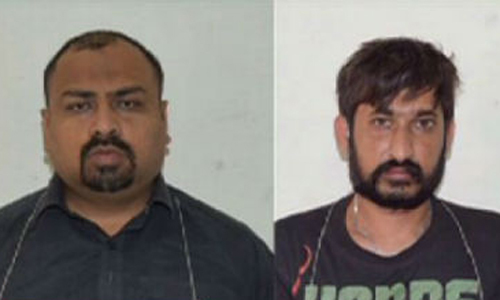 The Azizabad police presented the challan of the 16 accused, including Ubaid K2, Faisal Mota, Amir Sar Phata, Qadir Hanguru and Amir Raza, in court. Faisal Mota is a convict in the Wali Khan Babar murder case, Ubaid K2 is involved in the target killing of 16 people, including three policemen. The accused have confessed that the weapons recovered from Nine Zero were illegal. It has been told in the challan that G3, bombs, 9MM rifles and explosives were recovered from Nine Zero. The Rangers told court that no licence of weapons recovered from Nine Zero had been presented.